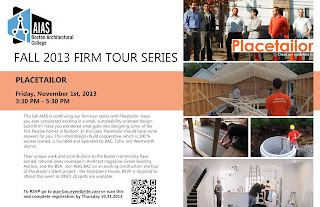 This Fall AIAS is continuing their firm tour series with a tour of Placetailor! Have you ever considered working in a small, sustainability-oriented designbuild firm? Have you wondered what goes into designing some of the first Passive homes in Boston? In this case, Placetailor should have some answers for you. This small design+build cooperative, which is 100 % worker-owned, is founded and operated by BAC, Tufts, and Wentworth alumni. Their unique work and contributions to the Boston community have earned national press coverage in Architect magazine, Green Building Advisor, and the BSA. Join AIAS BAC on an exciting construction site tour of Placetailor's latest project - the Rocksberry House. 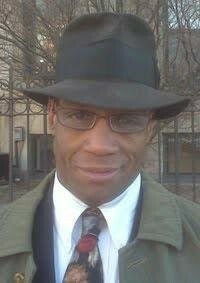 RSVP is required to attend this event as only 20 spots are available. To RSVP go to aias-bac.eventbrite.com and complete registration by Thursday 10.31.13.